The Supreme Court held that merely because a court has power under Section 319 of the Code of Criminal Procedure to proceed against any person who is not named in the F.I.R. or in the Charge Sheet, it does not mean that whenever in a statement recorded before the Court, name of any person is taken, the Court has to mechanically issue process under Section 319 Cr.P.C. 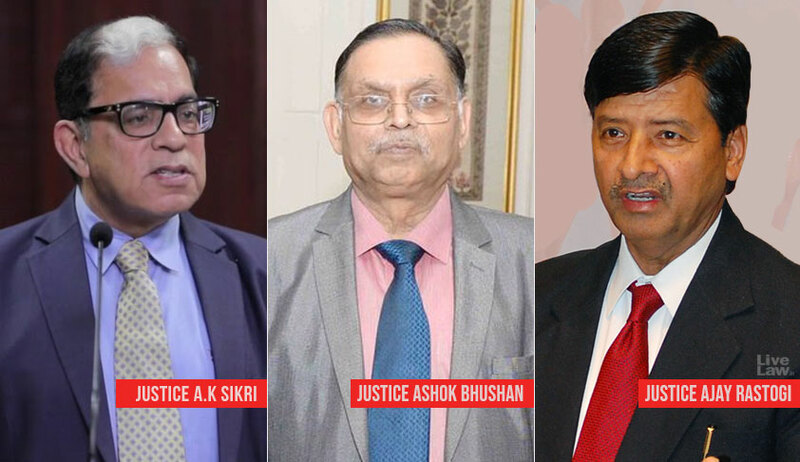 Justice AK Sikri, Justice Ashok Bhushan and Justice Ajay Rastogi in Labhuji Amratji Thakor vs. State of Gujarat, were considering appeal against High court order allowing the application under Section 319 Cr.P.C. filed by prosecution. During trial in a POCSO CASE, the prosecution had filed an application under Section 319 of the Code of Criminal Procedure, where it was stated that in the statement of victim, she has taken name of three more persons, who had allegedly taken her in the jeep. The POCSO judge dismissed the application observing that nowhere in her long statement, the victim took their name and it was only in the statement, recorded in the Court after more than one year, she mentioned their names. Section 319 Cr.P.C. provides that where, in the course of any inquiry into, or trial of, an offence, it appears from the evidence that any person not being the accused has committed any offence for which such person could be tried together with the accused, the Court may proceed against such person for the offence which he appears to have committed. In the present case, the bench said that, there are not even suggestion of any act done by them amounting to an offence referred to in Sections 3 and 4 of the POCSO Act and thus there was no occasion to proceed against them under POCSO Act. The bench then set aside the High court order observing that it has not given sufficient reasons for allowing the application under Section 319 Cr.P.C. filed by prosecution.